Jared Murillo is a singer and dancer whose career was launched on Disney’s High School Musical and High School Musical 2. 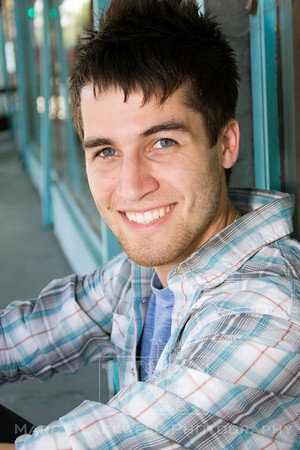 He became assistant choreographer for the show’s American tour then full-time assistant choreographer for the sequel. Warner Brothers Records handpicked him for their boy band, V Factory. Murillo, born August 6, 1988, in Honolulu, Hawaii, is from Mapleton, Utah, and trained in the family dance studio, Center Stage Performing Arts Studio. He was the youngest cast member in the Joseph and the Amazing Technicolor Dreamcoat production that starred Donny Osmond. In 1994, he started competing in ballroom dancing and became a national champion. At age 14, he moved to Southern California and worked with world-class coach and choreographer, Buddy Schwimmer. Working for three years, Murillo achieved his goal of winning world and national titles when he and his dance partner, Lacey Schwimmer, captured the World Swing, United States Swing and the United States Youth Latin Ballroom Championships, and the AAU National DanceSport Championships in 2003. They had a cameo appearance on an episode, “Loosely Ballroom,” of Disney’s The Suite Life of Zack & Cody. Murillo also performed in the opening ceremonies of the 2002 Winter Olympics. He performed on the BBC reality show Strictly Come Dancing in 2010.